4k00:15Photorealistic 4k Close up of south-korea flag slow waving with visible wrinkles and realistic fabric. 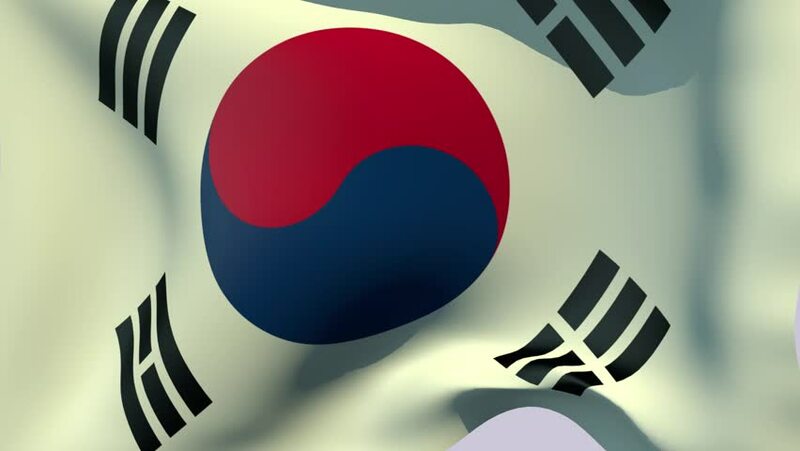 15 seconds 4K, Ultra HD resolution south-korea flag animation. hd00:25Flag of South Korea (Taegeukgi) - It has three parts - a white background, a red and blue taegeuk (also known as Taiji and Yinyang) in the center, and four black trigrams, one in each corner.